Since 2012, Thames Valley Church of Christ (TVCOC) has been dedicating its annual Gift for the Poor to the HOPE worldwide programmes in Africa. HOPE worldwide is providing ongoing support to Orphans & Vulnerable Children (OVC) in 8 countries across almost 40 communities (Cote D’Ivoire, Nigeria, Kenya, Zambia, Mozambique, Zimbabwe, Botswana & South Africa). Over the past 6 years, HOPE worldwide programmes have touched the lives of over 148,000 orphans and vulnerable children. During 2014-2016, they will reach 30,000 additional orphans and vulnerable children in Africa. TVCOC have been specifically giving to projects in Zimbabwe, Mozambique and Zambia, setting a goal to raise $60,000 each year. In 2012 and 2013, this vision has been surpassed as TVCOC raised approximately $100,000 each year ($202,000 overall). During 2013, with support from TVCOC, the OVC programs have reached 1080 Orphans and Vulnerable Children in Mozambique, Zambia, and Zimbabwe. Early Childhood Development (ECD) training was provided to 139 parents and caregivers benefitting 489 children in these countries. Women’s Empowerment Economic activities were also established for 60 female caregivers and community workers in Mozambique. Collectively, the African programs have already trained 743 women in business and vocational skills and now 1,125 women are running their own businesses. 1,240 women are now involved in Savings and Loans Clubs to support income generating activities. With the money raised in 2013, HOPE worldwide aims to support over 1,650 Orphans and Vulnerable Children throughout 2014, with food, healthcare, counselling, child protection, education and prevention of HIV/AIDS. This giving will also go towards strengthening the HOPE worldwide leadership teams in these countries, as well as to explore 2 new country sites in Ghana and Liberia. HOPE worldwide aims to leverage an additional $200,000 using TVCOC’s funding from individual, organisational and corporate donors. TVCOC are now planning their 2014 Gift for the Poor. Elida Mwanza is a widow aged 63 years old looking after her seven grandchildren in Chawama. Prior to the entrepreneurship training and microloan provided by Kupasa Banja, Elida would make and sell door mats but would rarely make a profit. Elida was advanced K500,000 (about £65) to start her business. Elida purchased 20 metres of cotton material for making tablecloths and now makes two sets of tablecloths a month which she sells at K150,000 per set. Out of the K300,000 sale she pays K100,000 towards settling the loan and pays rent for K100,000. The balance is used towards food for her family and other basic needs. 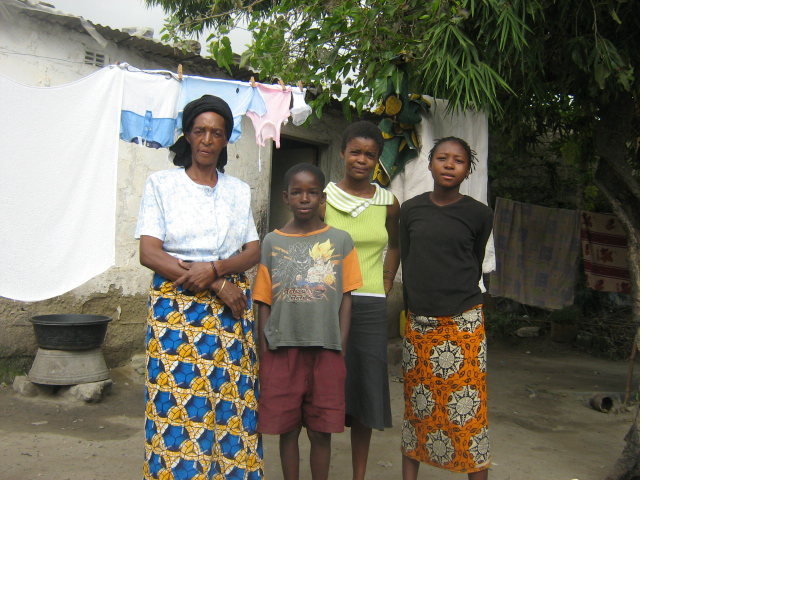 For the Mwanza family, the entrepreneurship training and microloan has made a real difference, enabling them to pay rent without a struggle, improving the family’s nutrition and also buying clothes for the children. Elida has also now purchased maize seed in order to plant and grow maize at a small field she is renting in order for them to have maize for food next year. If you are touched by this and would like to support the work of Kupasa Banja and help others like Elida, please click and complete the Kupasa Banja Standing Order Form. Field Simotowe (KBF037) was initially supported through HOPE worldwide – Zambia via the USAID funded ANCHOR program (Africa Network for Children Orphaned and at Risk) in 2006 at the age of 13. After the withdrawal of support through this programme in 2008, Kupasa Banja stepped in to provide support to Field’s family. Field is an inspiring young man whose story is very moving. As a double orphan, both his parents died in 2000 due to long illness. As the youngest of five children, Field was left in the care of his elder brother, along with his sister Mazili. Sadly his older brother also died a short while later. 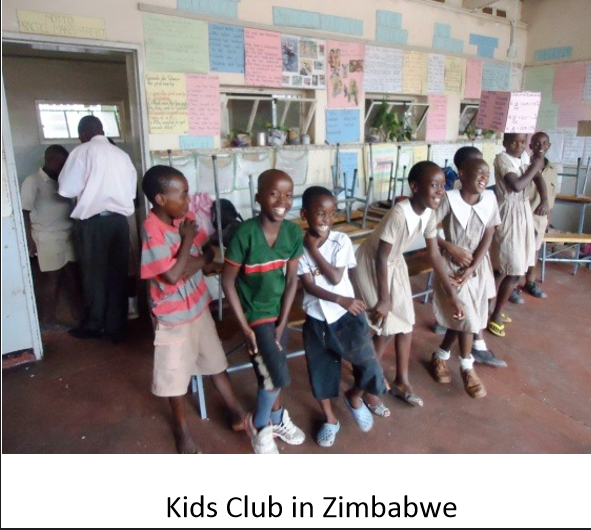 Despite facing so much loss and poverty, Field has been a local champion, representing children in the local community through having an active role in the Children’s Council for the HOPE Kids Clubs ran across local impoverished communities. He and his sister grew vegetables at the HOPE vegetable garden to provide food for themselves and their elderly grandmother. Through Kupasa Banja, Field and Mazili have been provided nutritional and educational support. 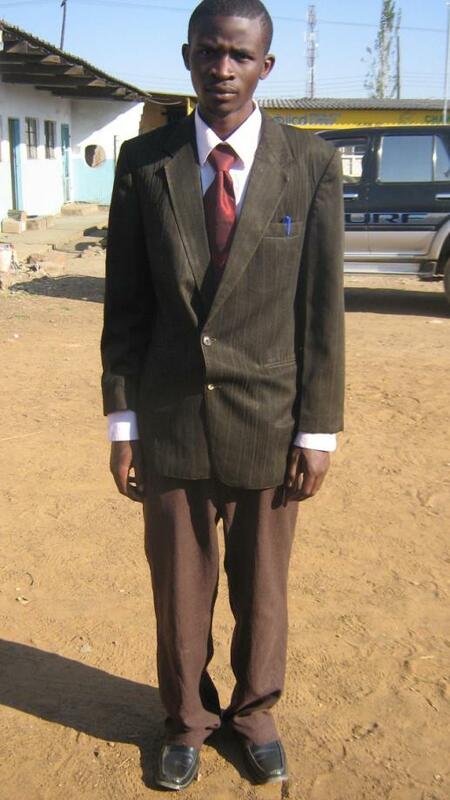 With his stomach satisfied and his school fees paid, Field applied himself to his studies and achieved excellent results. Because of his outstanding performance Kupasa Banja supported Field to move from his local community school to attend a higher quality school with a strong reputation for achievement. Completing his grade twelve with flying colours, Field has gained himself entrance into the University of Zambia where he hopes to study Law or Engineering. In gratitude for his success and the help he has received, Field has continued to inspire other children supported by Kupasa Banja, encouraging them in their studies and tutoring them where he can. The HOPE worldwide – Zambia team are now seeking funding to support Field’s University studies and are prayerfully seeking bursary funding from the Government. We look forward to seeing Field’s continued success and are proud of the way his life has been changed through the work of Kupasa Banja! If you would like to support the work of Kupasa Banja and help others like Field, please click and complete the Kupasa Banja Standing Order Form.